This year’s track team has a strong roster of about forty athletes from all. It has been quite busy on its feet, competing in five meets over the span of eight days. The team has run multiple meets around the Bay Area and even had the opportunity to run one in Southern California. On March 16, a select group of runners ran at the Marie Smith Malibu Invitational held at Malibu HS. NDB took 1st place in both the 4×100 and 4×400 relay races with a time of 53.01 and 4:23:08, respectively. Sophomore Julia Granucci took 1st place in the 400 meter with a time of 1:01.38. Junior Liz Piro took 2nd place in the varsity 100 meter race with a time of 14:03. 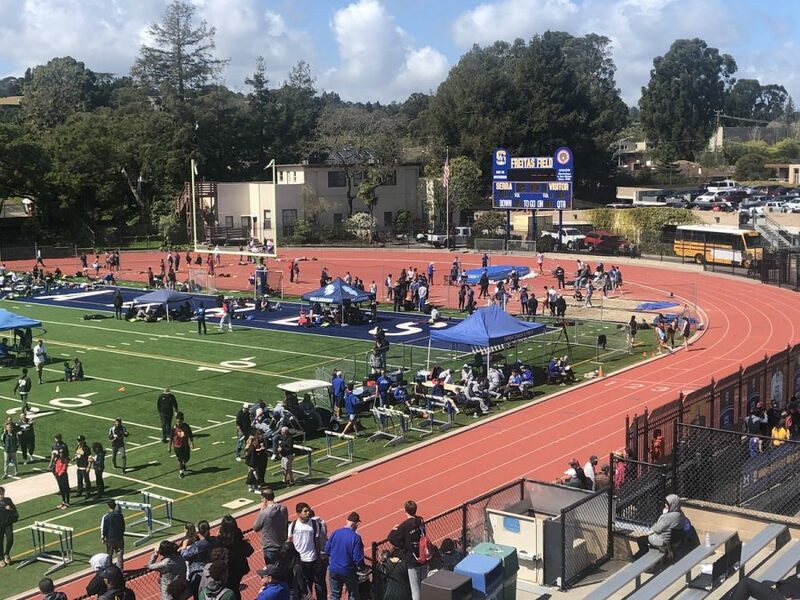 The team also ran the 32nd Annual Serra Top 7 hosted by Serra HS on March 23. Athletes that finished in the top seven times for each event were awarded a medal. Sophomore Julia Granucci again claimed 1st place in the 400 meter with a time of 1:00:39.